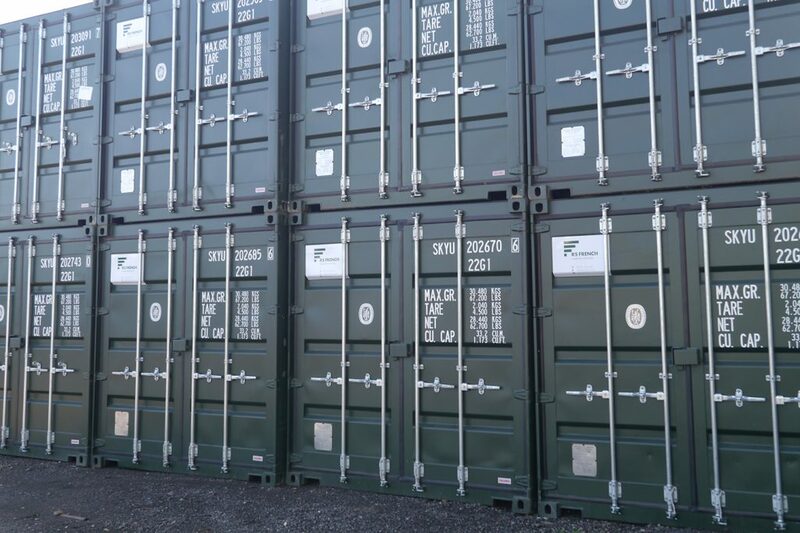 At RS French Ltd we pride ourselves in offering an extensive service, this includes both the hire and sale of storage containers. These containers are available for both industrial and domestic use. We provide a wide range of new shipping containers (one trip containers) and used shipping containers (wind and watertight) for sale and hire throughout the UK. As well as standard 20ft containers we also provide 8ft, 10ft, 30ft and 40ft units. Special cargo containers available include high cube containers, open-sided containers (full side access), tunnel (double end door), chemical stores and flat pack storage containers. Containers are not just a cheap and cost-effective solution to storage problems, at RS French, we look at container as building blocks, where anything is possible. Why not also check out our shipping containers or our flat packed containers.